Last day of VH. 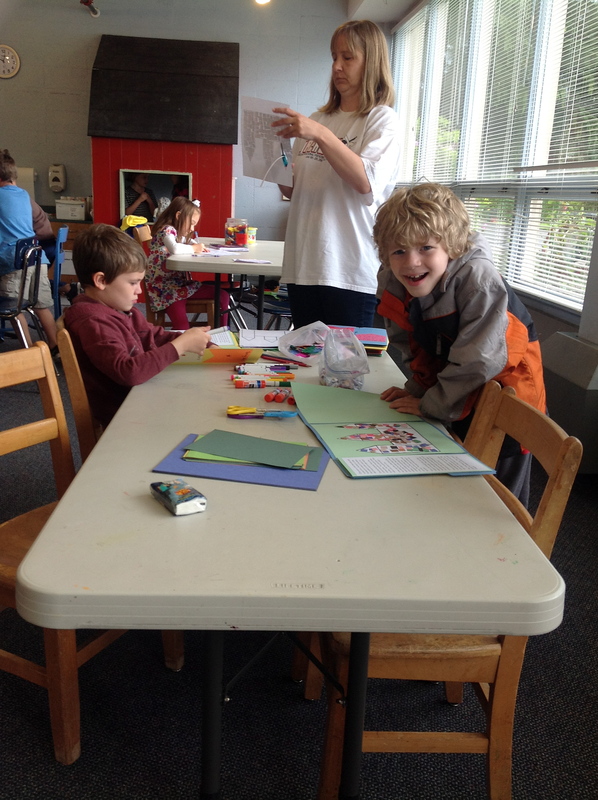 Kids were sad so I broke down and let them sign up for summer Thursdays. It is only from 10-12 for kids under 8 and Dori is teaching so I think they should like it and it will keep them in touch with their friends. Avery and I will hang out as per usual. 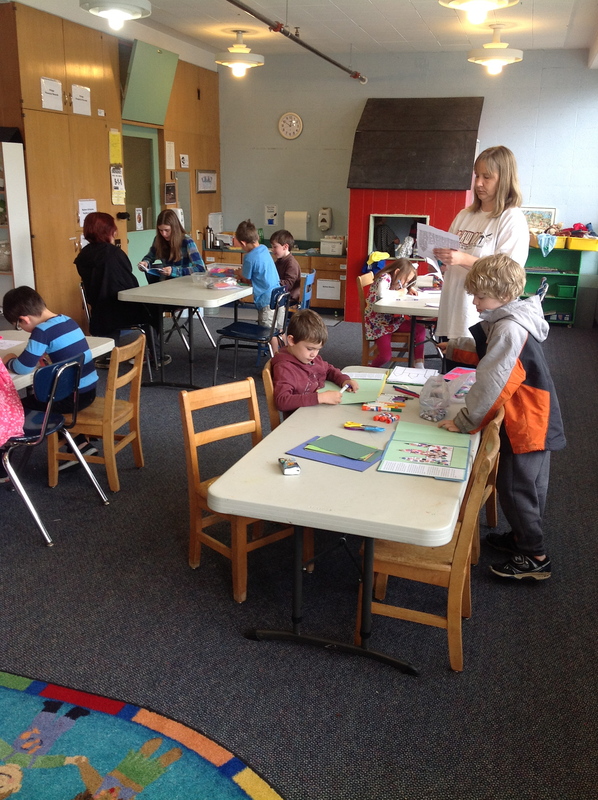 This trip we did library, Ava’s and after school with everyone we went to Beaverton Park. This summer I should have them bring swimsuits on hot days and they can play in the Sprinklers. One thing I love about Village Home is the multiage-ness of it and how parents, teens, kids and babies are pretty much integrated and comfortable with each other. There is no hierarchy. 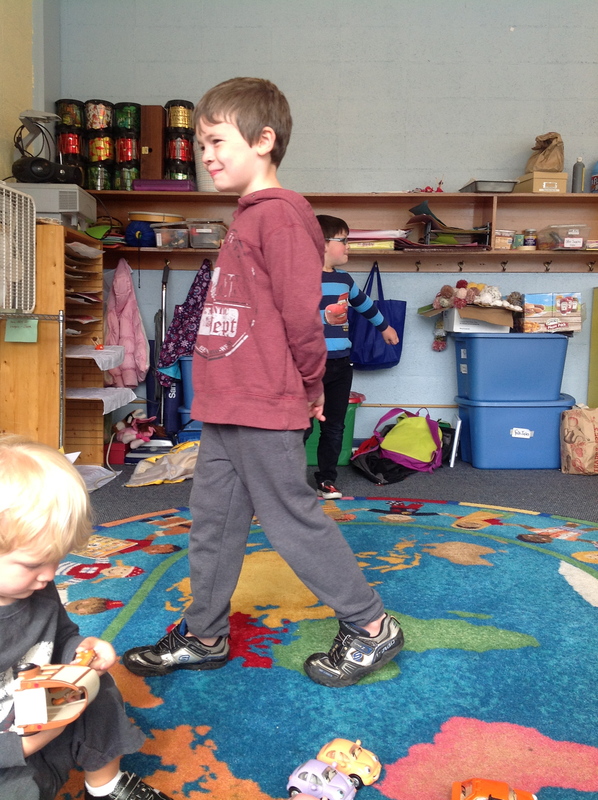 I left Avery with Naim in the playroom while I went down the hall to initial my community duty chart. And I was walking through a group of teenagers in a tight hallway when Avery came careening down the hall yelling. And the big guys just move out of the way and are all, “Hey, Little Dude!” And then when we came back, Avery lost his shoe and plopped down right on the floor in the midst of all these teenage boys and lifted his socked foot up, and one of the boys brought him his shoe and helped him put it on without even skipping a beat in his conversation with the other kids. Separating kids by age more than is practical for group activities just seems so very odd to me now. 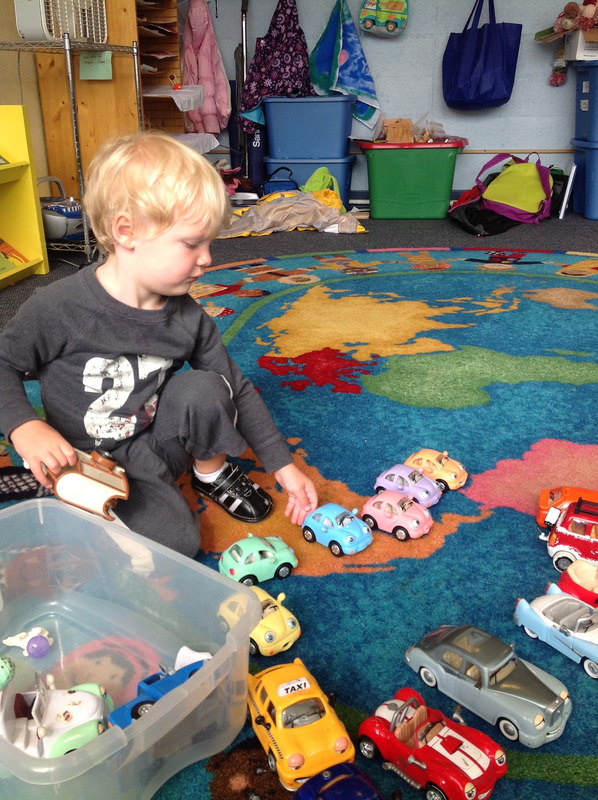 Avery hanging out in the first few minutes of Discoverers, making his parking lot. 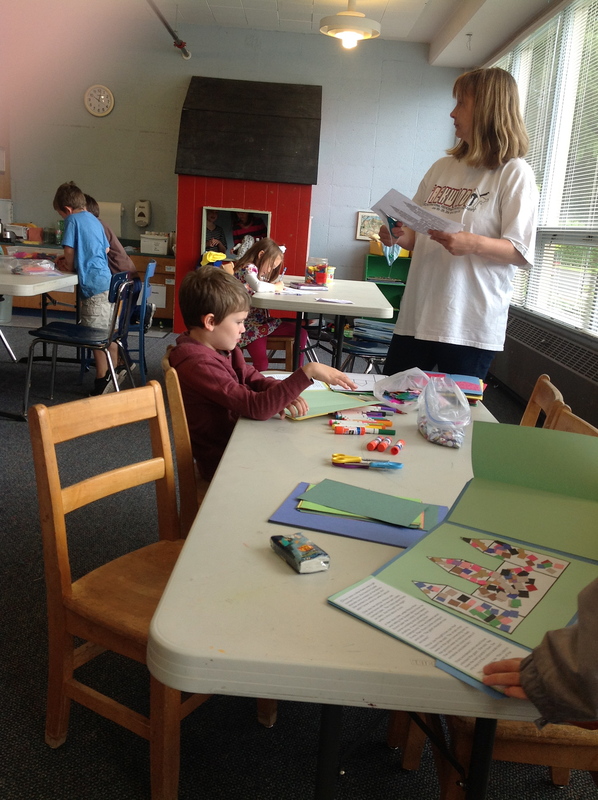 Kids with Teacher Bobbi finishing up their lap books. Naim suddenly notices I am taking pictures. Aaron, oblivious to mom or picture taking.